We tackled another re-creation taken from the wonderful Joy the Baker. Obviously when you decide to make this you forgo any sense of healthy eating. So don’t even bother with it. 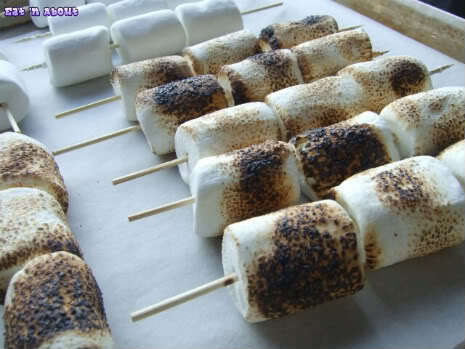 Place marshmallows on skewer and toast until slightly charred over a gas flame. If you don’t have skewers or a gas range, you can toast the marshmallows on a sheet tray in the broiler for 2 or 3 minutes. Keep an eye on the marshmallows as they’re in the oven. They’re liable to burst into marshmallow flames pretty quick. Place on a plate to cool slightly. We didn’t just ‘happen’ to have a blow-torch LOL. LockerBud, a pastry chef, keeps one on hand and we took advantage of the additional fun of torching the marshmallows. Note though, with torching, the innards of the marshmallow won’t be as soft and gooey than if you had them in the broiler. Not a problem though. You’ll see why in a bit. 2. 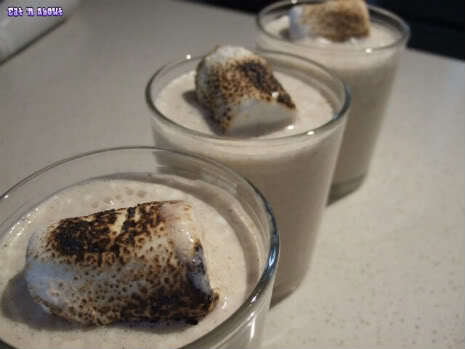 In a blender mix together ice cream, milk, vanilla extract and toasted marshmallows. 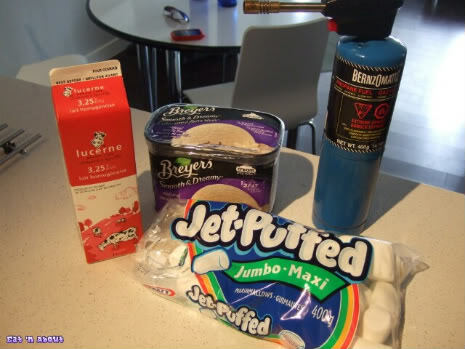 Save one or two toasted marshmallows to top the milkshake(s). Blend well. 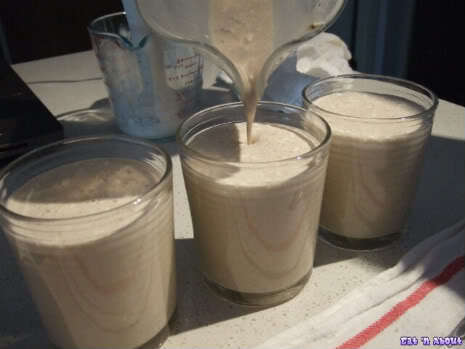 For a thinner milkshake add more milk. If you’d like it a bit thicker… add more ice cream. It’s ok if your marshmallows aren’t exactly gooey and soft inside, as they don’t break up as easily and ends up being little chewy bits much like bubble tea. We thought that’s a nice touch. 3. 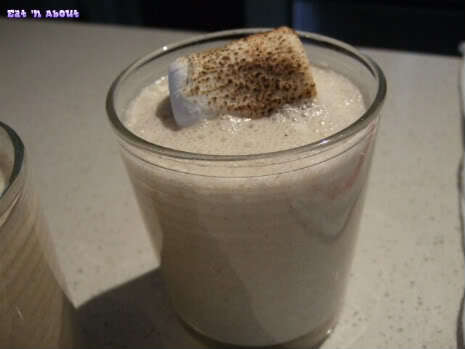 Pour into glasses and top with toasted marshmallows. Enjoy on the quick. I ended up with a sugar-induced headache afterwards LOL. As did my partners-in-crime. But still, definitely worth a try and I’m pretty sure I’ll make it again for gatherings and such. I’m sure it’ll be a big hit.